Nowhere is safe from tiny terror Horrid Henry. He won’t do his homework in peace. All his hobbies are really horrible. He says the swimming pool is infested with sharks… and he’s banned for life from the supermarket. Is there anywhere that a brat like Horrid Henry is still welcome? Four more chuckle-packed tales! 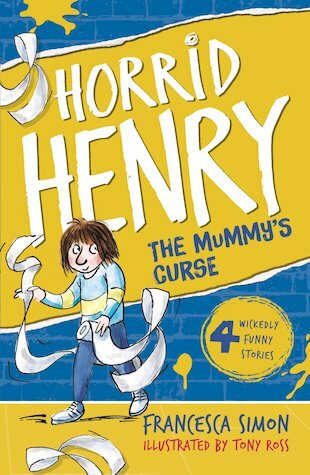 I liked this book because it was good when Peter got the mummy and Henry kept trying to steal but he can’t so he tells Peter its cursed.